Are Kit Kats Bad For You? - Here Is Your Answer. Are Kit Kats Bad For You? Kit Kat is a very popular chocolate covered wafer candy that is high in fat, calories and carbohydrates in the form of sugar. Health challenges can occur with regular long-term ingestion. However, eating a Kit Kat once in a while will most likely not cause any major health issues. 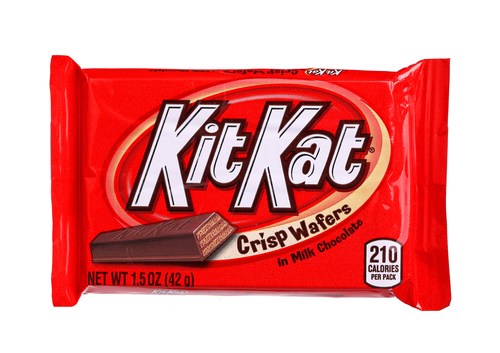 Kit Kat was released in the United Kingdom in 1935. Its ingredient formula has changed many times - the last time in April of 2017. The new Kit Kat bar contains: sugar, wheat flour, nonfat milk, cocoa butter, dark or milk chocolate, milk fat, palm kernel oil, lactose (milk), a small amount of soy lecithin, vanillin artificial flavor, salt yeast and baking soda. The bars are smaller in size than earlier versions however their sugar content has increased. The carbohydrate component consists of a total of 28 grams with sugar comprising 22 grams of this total. Obviously, long-term regular consumption can lead to weight gain, higher risk of type 2 diabetes and elevated blood lipids. 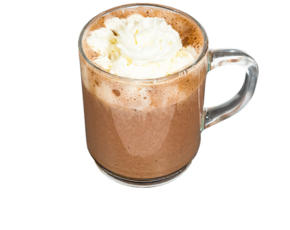 Chocolate in the form of dark and milk chocolate can have some benefits in the realm of cardiovascular health. 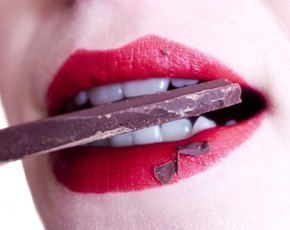 Dark chocolate with 70% or more of cocoa contains higher amounts of flavonoids compared to milk chocolate. Flavonoids are great antioxidants, can boost the immune system and are natural anti-inflammatories. Kit Kat bars with dark chocolate may be a better choice compared to the milk chocolate version. However, the addition of ingredients in the manufacturing of chocolate candy decreases the nutritional value of the chocolate and makes it less healthy. The addition of high-fat ingredients to obtain the taste of chocolate leads to a higher amount of unhealthy saturated fats. The palm kernel oil in Kit Kat is high in saturated fat and is used to prolong shelf life and stability of the product. 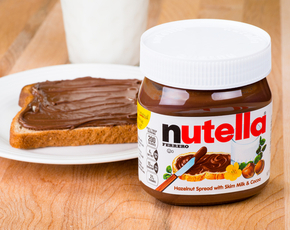 Ingesting high amounts of these fats can lead to cardiovascular issues, diabetes and obesity. The regular size milk chocolate Kit Kat bar has a total of 11 grams of fat with 7.5 grams of this being saturated fat. The dark chocolate version has a total of 15 grams of fat with 9 grams of this being saturated fat. The American Heart Association recommends that saturated fat comprise no more than 7 percent of your daily caloric intake. If you eat a typical 2000 calorie daily diet, you should limit your intake to no more than 13 grams of saturated fat daily. 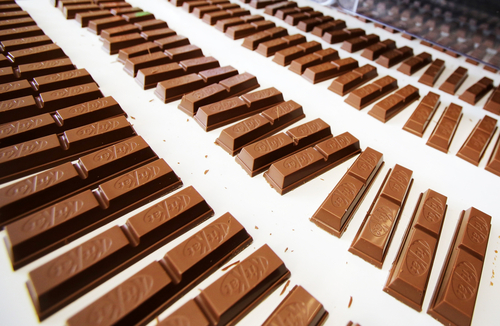 Having one Kit Kat bar would give you more than half of what you should be eating daily. 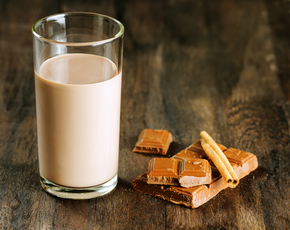 There is a small amount of soy lecithin in Kit Kat bars which is used as an emulsifier. Soy lecithin binds to both oily substances and watery substances. It is in this way that soy lecithin chemically makes a food, like chocolate, look and taste smoother. While soy lecithin has a name that sounds like unadulterated soybean, it is far from a natural food. It is a chemical product produced in factories. This emulsifying agent is essentially made up of a small fraction of the soybean plant, combined with a host of other chemicals. The main part of the soybean plant that is used is the oil extract. The other chemicals added to soy lecithin may cause allergic reactions in some people, especially people who are sensitive to industrial chemicals in small quantities. Because the Kit Kat bar contains milk products, individuals that are lactose intolerant may experience flatulence and general gastrointestinal upset. The wheat flour may also cause GI upset in individuals that have gluten sensitivity or gluten intolerance. The packaging will tell you if the manufacturing was done in a facility that also handles peanut products. There is a small amount of calcium, vitamin D, potassium and iron in Kit Kat bars but overall the nutritional value of this popular candy is low.